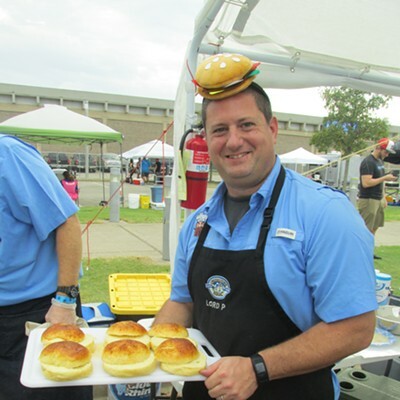 Brett Healey at Best Memphis Burger Fest. The Brranimal did it again. 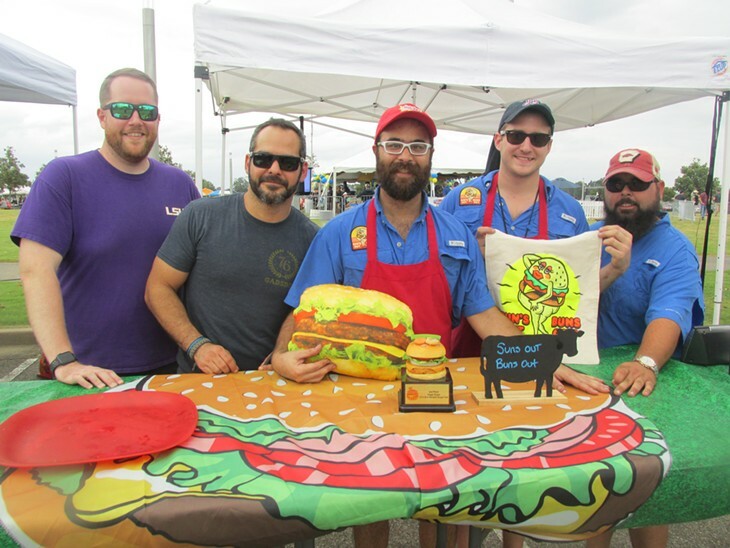 Brett Healey, appropriately nicknamed “The Brranimal” for his power-eating expertise, won the slider eating contest at the Best Memphis Burger Fest, held Oct. 7 in Tiger Lane. He ate 12 sliders in five minutes. 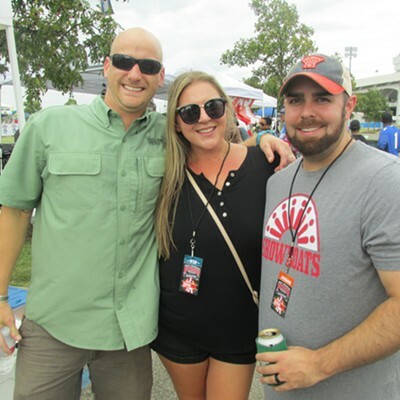 On Aug. 20, Healey won the meatball eating contest at the Monroe Ave. Festival in front of Bardog Tavern. He was the first contestant to finish 40 meatballs. 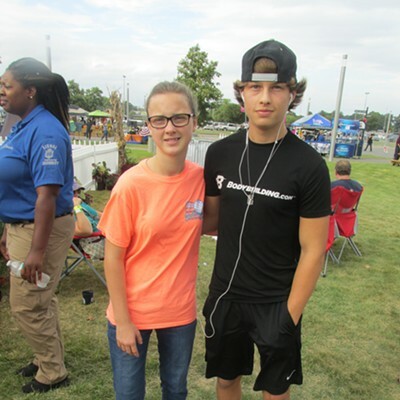 He finished in 13 minutes and 14 seconds, which beat the previous record of about 15 minutes. Gay, Josh and Morgan Hammond at the "Rommy Hammond Way" dedication. 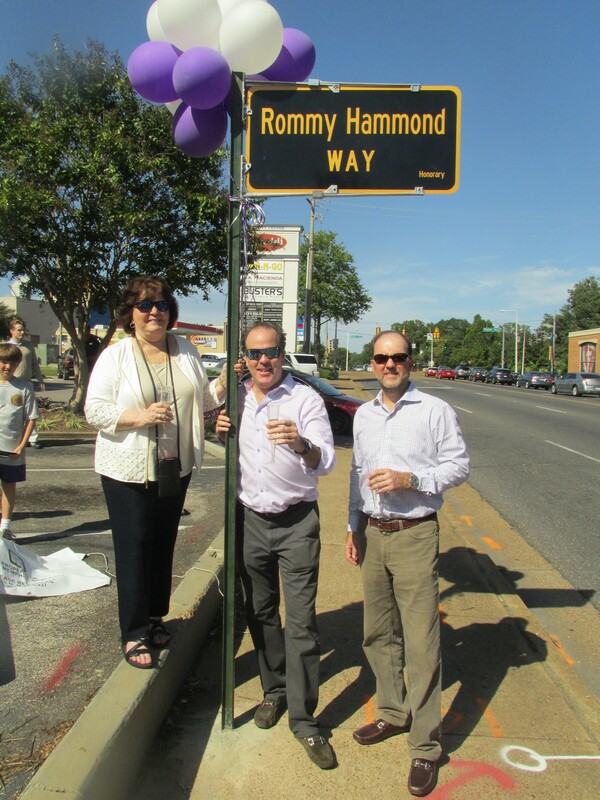 When he heard a section of Highland was going to be named after his dad, the late Rommy Hammond of Buster’s Liquors & Wines, Josh Hammond wasn’t sure “Rommy Hammond Street” sounded right. And that’s what the section in front of Buster’s on Highland between Poplar and Central now is designated. A special champagne celebration to commemorate the day and unveil the street was held Oct. 3. About 100 people, including family and friends of Rommy, attended. Included in the family group were Rommy’s wife, Gay, and sons Josh and Morgan. The day was special in another way. “Today is Dad’s 77th birthday,” Josh told the crowd. And, he said, “Cheers to Rommy!” Guests raised their glasses. Matthew Thacker-Rhodes, Dara Vongphrachanh and Jeremy Thacker-Rhodes at Baron's Man Cave party. Instead of stalactites hanging from the ceiling, suits and other stylish clothing were hung on racks. In addition to featuring master barbers and stylists, Baron’s Man Cave features Happy socks, Hudson and 7 All Mankind jeans, Scotch and Soda and Civil Society clothing lines, Jack Mason watches, Studebaker Metals and Corkcicle gift items. So, who is “Baron”? “‘Baron’ is actually a name that we came up with. It’s not anybody's name that we know." Mike Divoky, Cathy Simmons, Susanna Kelley and Austin Bryeans at Spaytacular. 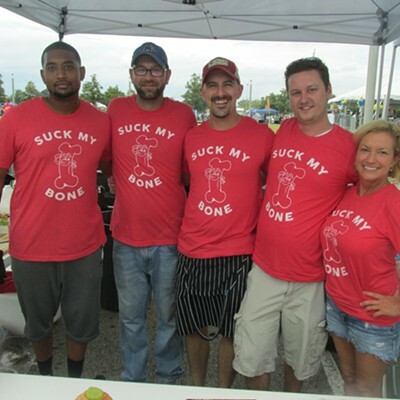 A crowd of 160 two-legged people attended the 11th annual SPAYtacular to help their four-legged friends. 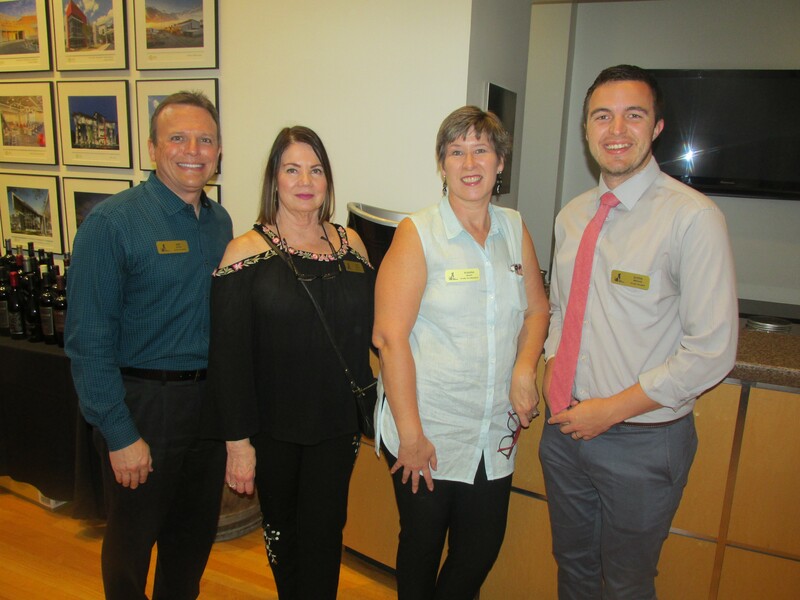 The event, held Oct. 9 at ANF Architects, featured food from area restaurants and an open wine and beer bar. Hank and Nora provided the music. 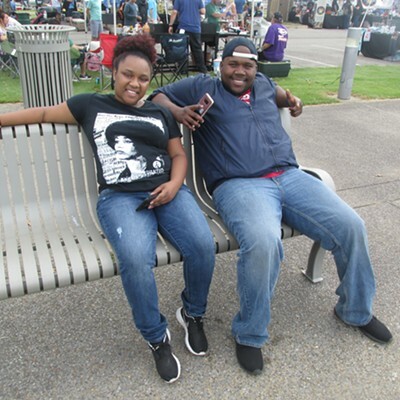 As for the proceeds from the event, Simmons said, “Whatever we raise from our fundraisers like this one will go for helping to run the clinic or offset surgery fees for people who can’t afford it. Some people come to the clinic and they don’t pay at all. We have a grant for people on government assistance. Or we have a grant for people over 65 or a grant for people on government assistance. 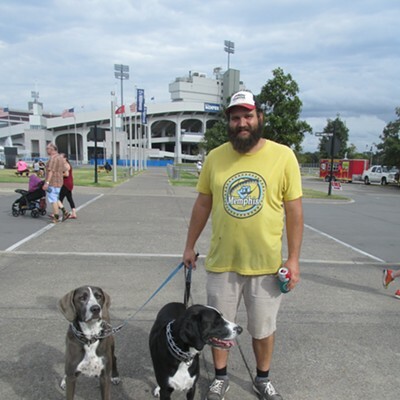 Brittany Pace is Spay Memphis executive director. 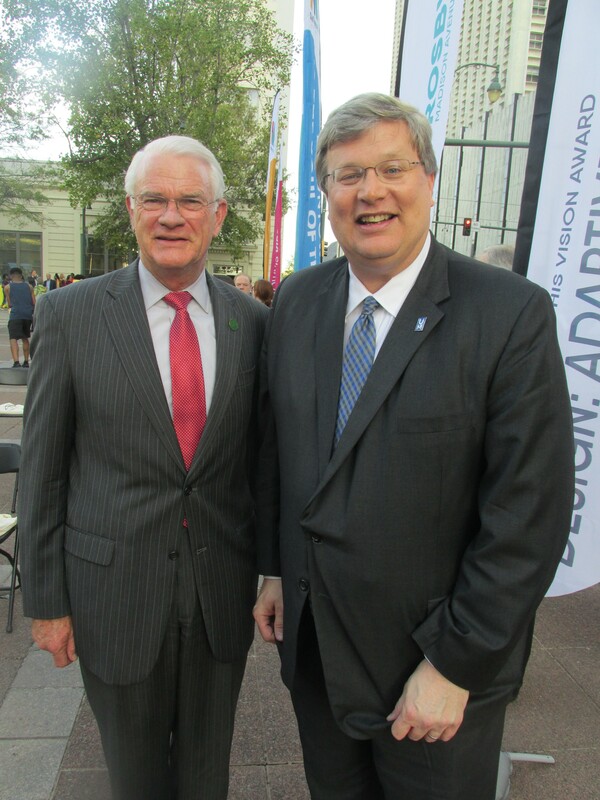 Shelby County Mayor Mark Luttrell and Mayor Jim Strickland at Downtown Memphis Commission 40th Anniversary celebration/Vision awards ceremony. 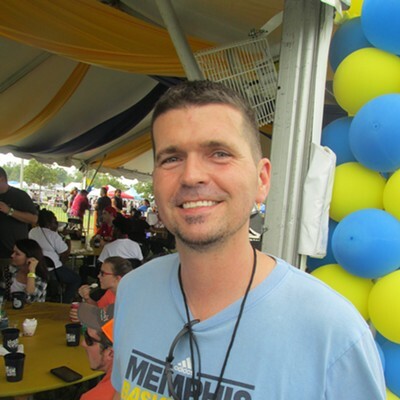 Lots of cake and other treats, including the Memphis Grizzline, were on hand at Civic Center Plaza Oct. 4 for the Downtown Memphis Commission’s 40th anniversary celebration. Scott Crosby, Madison Avenue Park; ServiceMaster Day of Service Team; Old Dominick Distillery; Odell Horton; Jay Kumar and Snay Patel of Hotel Napoleon; and the Henry Turley Co.
Tom Gannon at wine tasting at Erling Jensen: The Restaurant. A wine tasting at Erling Jensen: The Restaurant is an enticing idea. 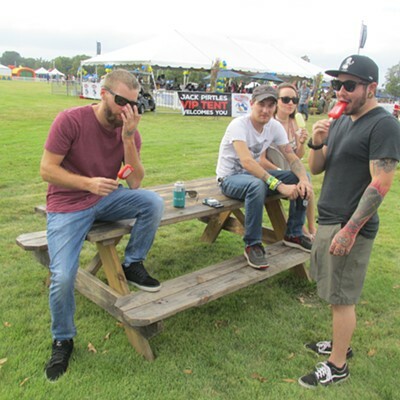 Athens Distributing held a tasting Oct. 4. The tasting featured wines from the Spire Collection, which is part of Jackson Family Wine Estates. 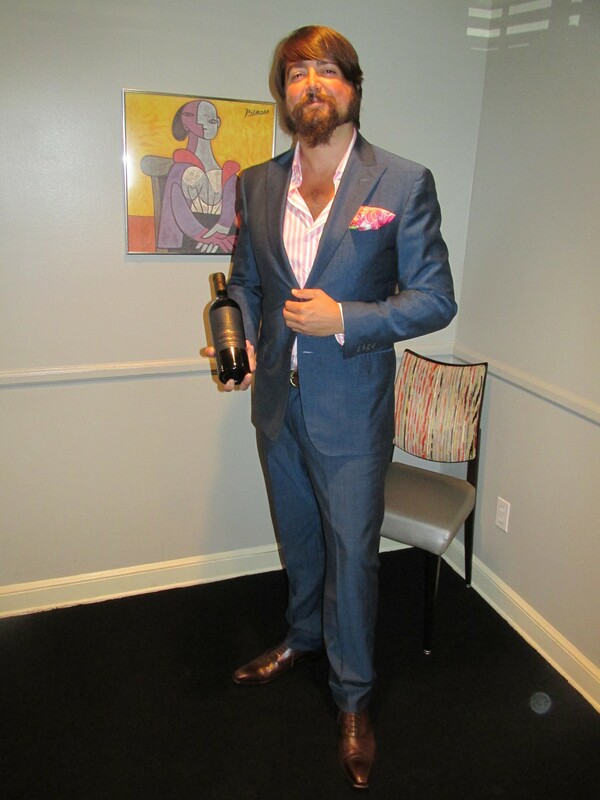 Tom Gannon, Northeast regional sales manager for The Spire Collection of wines, conducted the tasting. So, what did Jensen serve as an accompaniment to the wines? Among the culinary items were duck confit with braised red cabbage and a cheese plate with four different types of cheeses: blue Stilton, espresso rubbed barely buzzed, Dutch Muenster cheddar and Parmigiano-Reggiano, said chef de cuisine Will Hickman. 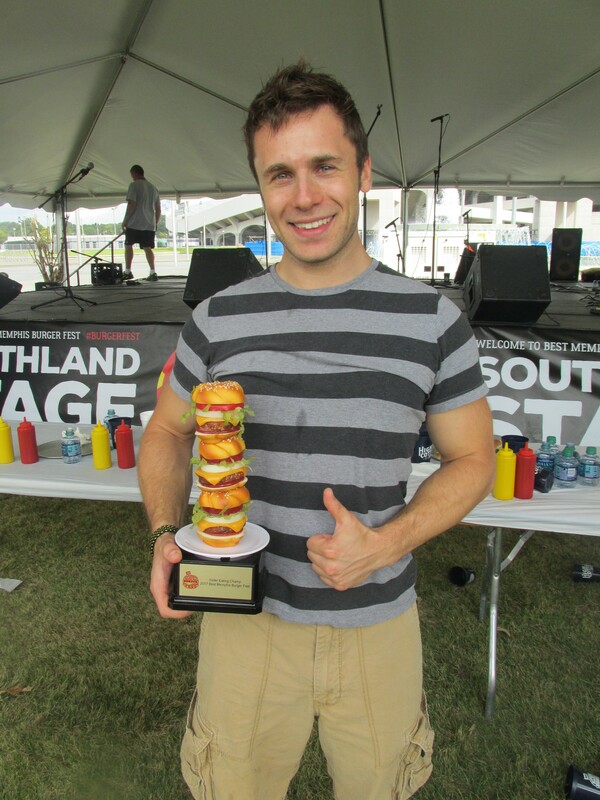 Slider Eating Contest from Michael Donahue on Vimeo.